We call on you to immediately ban the use of neonicotinoid pesticides until and unless new independent scientific studies prove they are safe. 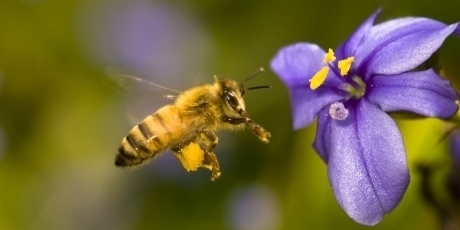 The catastrophic demise of bee colonies could put our whole food chain in danger. If you act urgently with precaution now, we could save bees from extinction. Silently, billions of bees are dying off and our entire food chain is in danger. Bees don't just make honey -- they are a giant, humble workforce, pollinating 75% of growing plants. But in days the US could move to ban the toxic pesticides that are killing them off. We know we can get a ban -- after a mega Avaaz campaign last year, the EU banned this group of poisons that multiple scientists blame for bees' rapid demise. Right now chemical companies are furiously lobbying US authorities to stop action. But insider allies say a massive public mandate could tip the scales towards a ban. Let's give it to them! If the US moves, it will set in motion a ripple effect on the rest of the world. We have no time to lose -- members of the White House's bee task force will report with proposals in days. This is not just about saving bees, this is about our survival. Sign the emergency petition now -- let’s build a giant global buzz calling for the US to outlaw these killer chemicals, before the honey bees are extinct.